At MELVIN VILLARROEL we structure the open space simultaneously with that of the solid volumes, allowing the natural open space to take the lead both informing while acting within the limits of the built open space. Golf & Polo hotel resort community, including two hotels, apartments, townhouses, hotel-managed chalets, and villas. 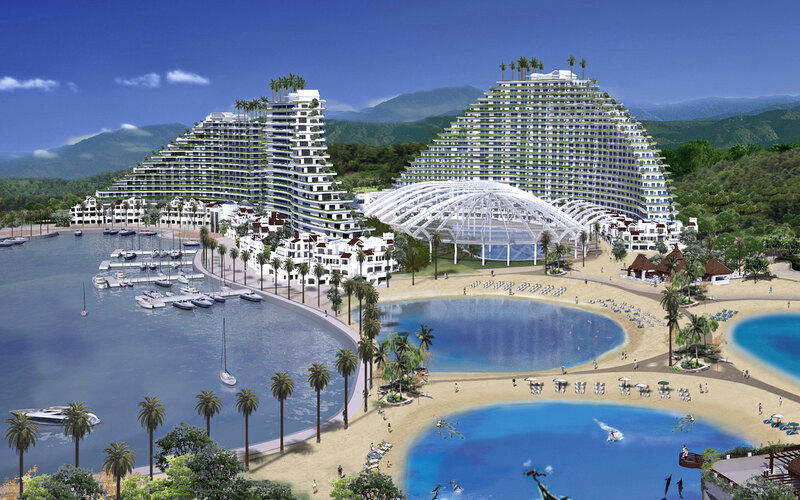 Resort community of 2.800 residential units, with two hotels, towncenter, towers, villas, a marina and artificial beaches. Mansions in a nature park with golf and equestrian center. Conference Center with commercial area, offices, and hotel rooms. Sea-view garden apartments residential community composed of 350 units and commercial center. Sea-view garden apartments residential community. Sea-view residential community composed of 300 garden apartments, and a hilltop residential community composed of 300 townhouses and villas and a boutique hotel.